The Very Reverend Father Papken Dz. V. Anoushian was assigned as the new pastor of St. Thomas Armenian Church of Tenafly, NJ, in 1991. The St. Thomas Parish was fortunate to welcome such a priest who had already assembled an impressive array of ecclesiastical and academic credentials. At the age of 11, Harutyun was sent to the St. Tarkmanchats Elementary School in Jerusalem. Following his elementary studies, he completed high school in only three years, and was admitted to the Theological Division of the Seminary, where his sharp intellectual skills made him a leader among his classmates in subjects both academic and religious. In 1977, he was ordained a deacon, and upon graduation from the Theological Division, he was ordained a priest. His Eminence Archbishop Yeghishe Derderian, Patriarch of Jersualem, dispatched Father Anoushian to America to continue his education. He matriculated at Wayne State University in Detroit, Michigan, from where he received a Bachelor’s Degree in Psychology in 1983. 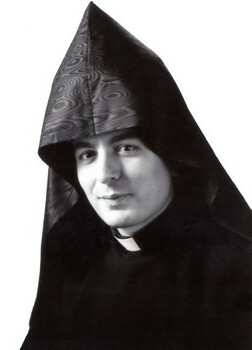 Father Anoushian went on to study law at Western Michigan University Law School, and graduated in three years on the Dean’s List. Subsequently, he won a scholarship from Yale University where he received a Master’s Degree in Patristics. At the culmination of his legal studies, Father Anoushian passed the Michigan and New Jersey Bar exams. In 1988, Father Anoushian was elevated to the rank of Vartabed by His Eminence Archbishop Torkom Manoogian. 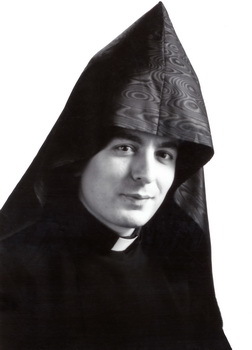 He served at the Diocese as the Grand Sacristan of the St. Vartan Cathedral for two and a half years; subsequent to which he was assigned to the St. Thomas Parish by His Eminence Archbishop Khajag Barsamian. 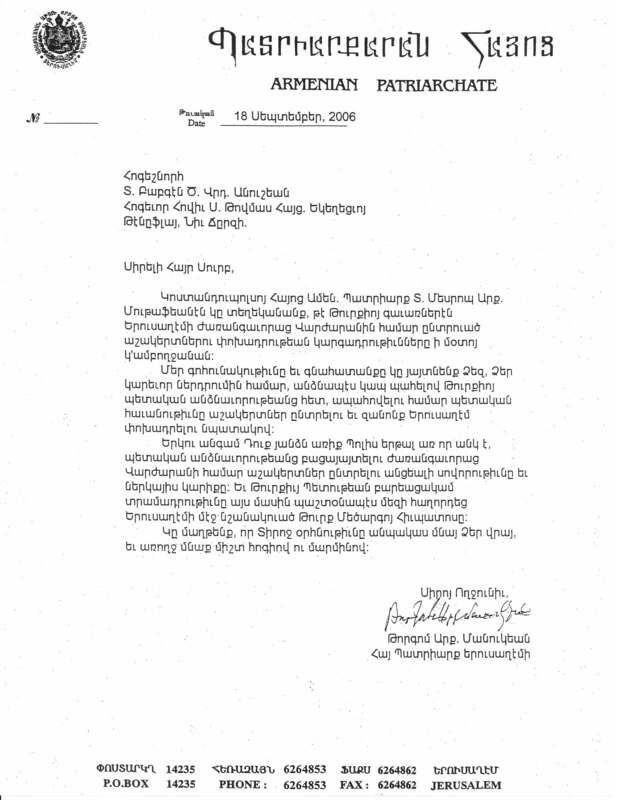 In April 3, 1993 he was elevated to the rank of Dzayrakoon Vartabed at St. Thomas. 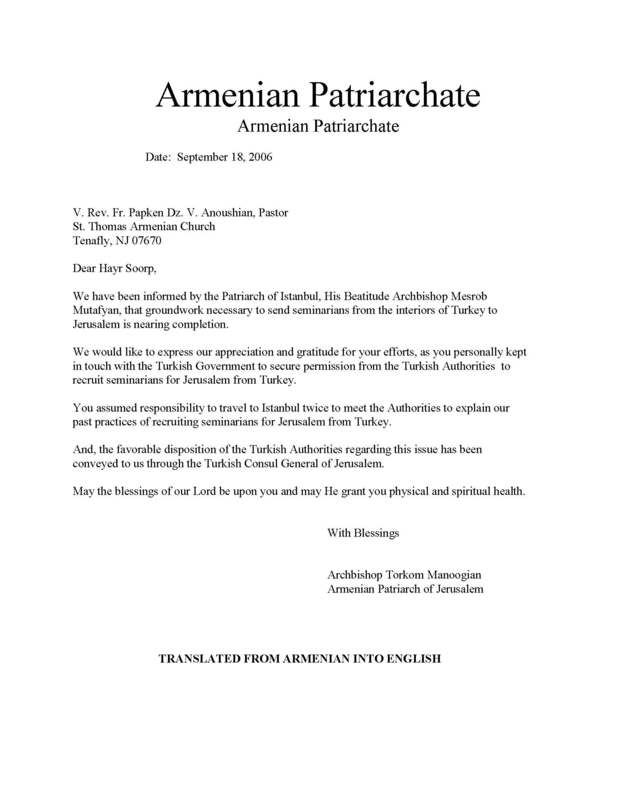 In addition to his pastoral work, he traveled extensively as the representative of His Beatitude Archbishop Torkom Manoogian, Armenian Patriarch of Jerusalem, to Ankara, Turkey to meet with Turkish Foreign Ministry officials to sort out certain issues of the Armenian Patriarchate of Jerusalem and to obtain permission for the Patriarchate to take students to Jerusalem. His mission was successful. Furthermore, he renegotiated and secured additional monetary compensation and housing units for the Armenian Patriarchate of Jerusalem from a previously entered into development contract by the Armenian Patriarcate of Jerusalem, of which Fr. Papken had no knowledge. Fr. Papken is an active member of St. James Brotherhood of Jerusalem. Please select images below to further magnify them.